Goblins and gentle-ghouls, it’s that time of year again! Whether you’re big on scares and tricks or like your Halloween treats sugar-coated, the fall season is sure to delight. 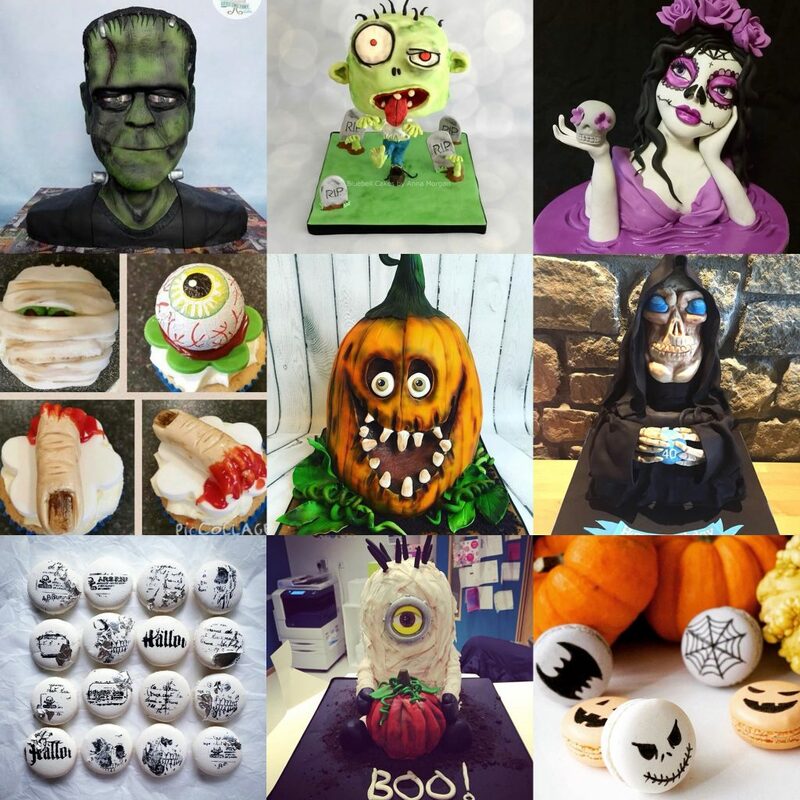 We’ve rounded up some of our absolute Halloween favourites, from cakes to cupcakes, that are ideal for any All Hollow’s Eve celebration. Kevin the zombie is absolute proof that you can be a walker and still be adorable. We absolutely love the details on this one- all the way down to the untied shoelace and pint-sized toes. 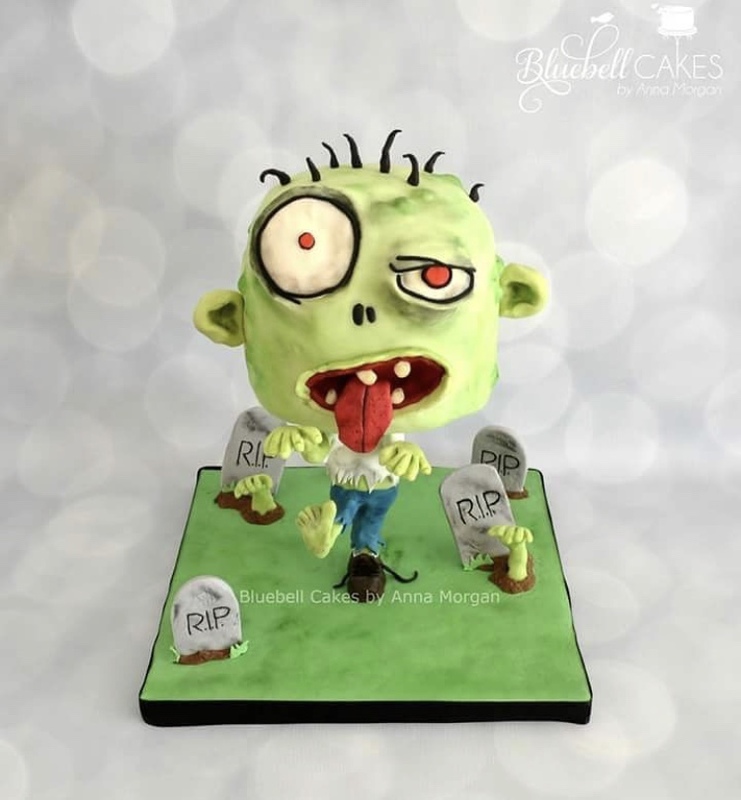 Although the cake’s designer Anne cautions he likes brains just as much as any other zombie, she promises he tastes good as well. 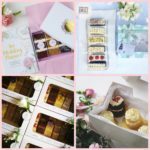 Kevin hasn’t made it onto their page just yet, you can find some of his delicious and classier “cousins” over on Bluebell Cake’s Bakers & Cakers profile. Hosting a decadent Halloween or Dia de los Muertos party? 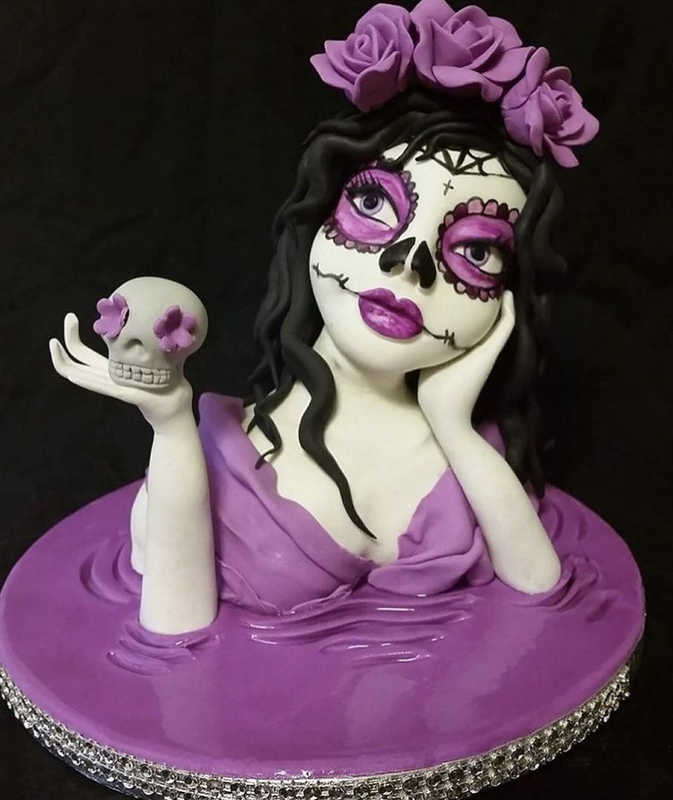 Something like this stunning sugar skull design crafted by our very own Cacalicious is sure to do the trick. With incredibly life-like eyes, we have to wonder what this bathing beauty is dreaming about. Cake. It’s probably cake. 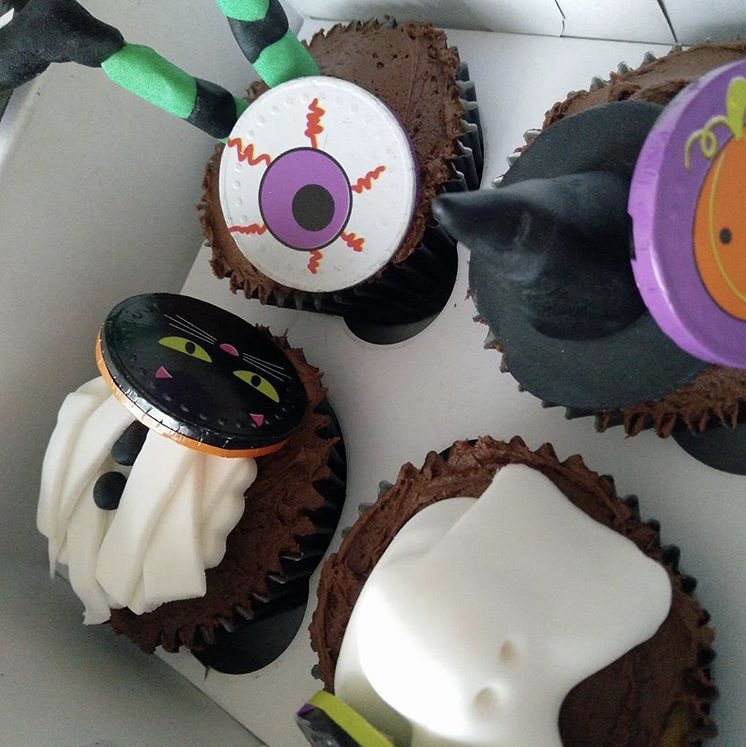 Looks like trick-or-treating will be much safer this year, now that the wicked witch has found herself buried headfirst in a cupcake. You can’t possibly pack more treats into a single serving than these fun Halloween treats by The Cake Emporium. How many cakes have ever seriously sent shivers down your spine besides this one? We have to hand it to Agatha over at Cake Field Avenue. 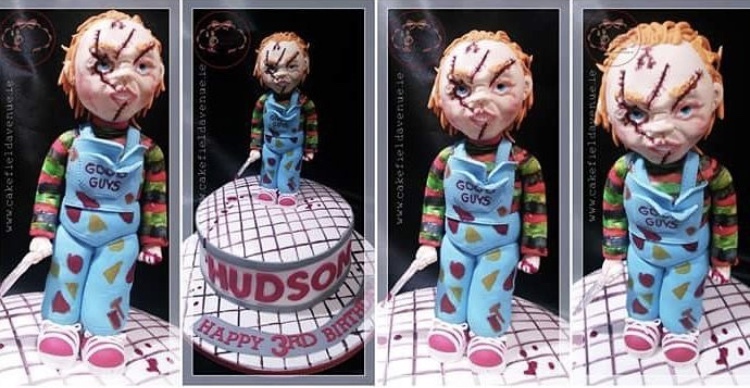 Not only is this design petrifying, totally handcrafted, and edible, but it comes with its own cutting knife. (Ok, the knife isn’t real… or is it?) 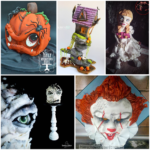 FYI, all her cakes aren’t this scary- she has a super sweet Alice in Wonderland design and others on her profile worth checking out too. 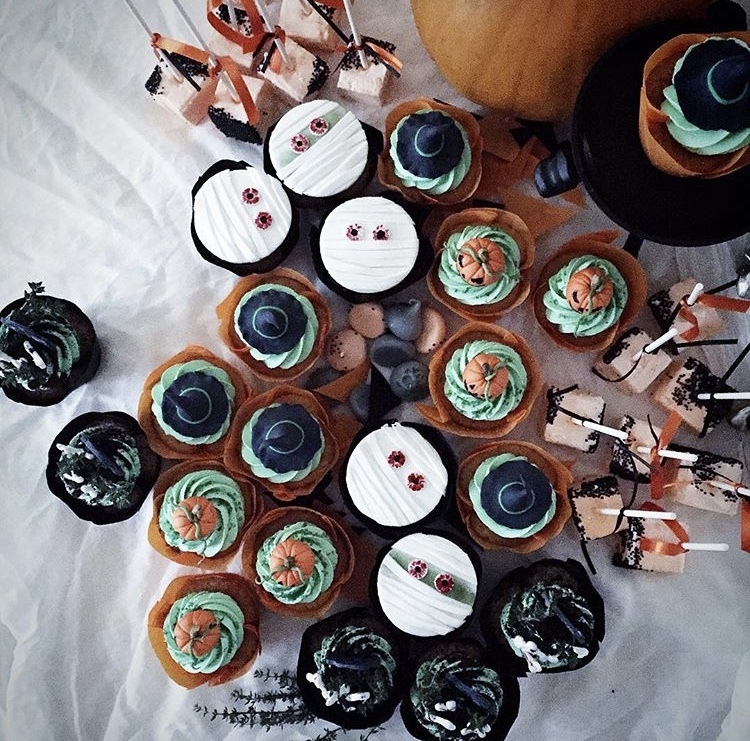 Perhaps more suitable for older ghosts and goblins, these Halloween cupcakes pack a bit of fright in every bite. Check out the details on the fingers! That’s true edible art… you know… if you have the taste for fingers. Cakes Glorious Cakes is known for having an “eye” for this sort of thing, and it shows! Who knew death could be so sweet? 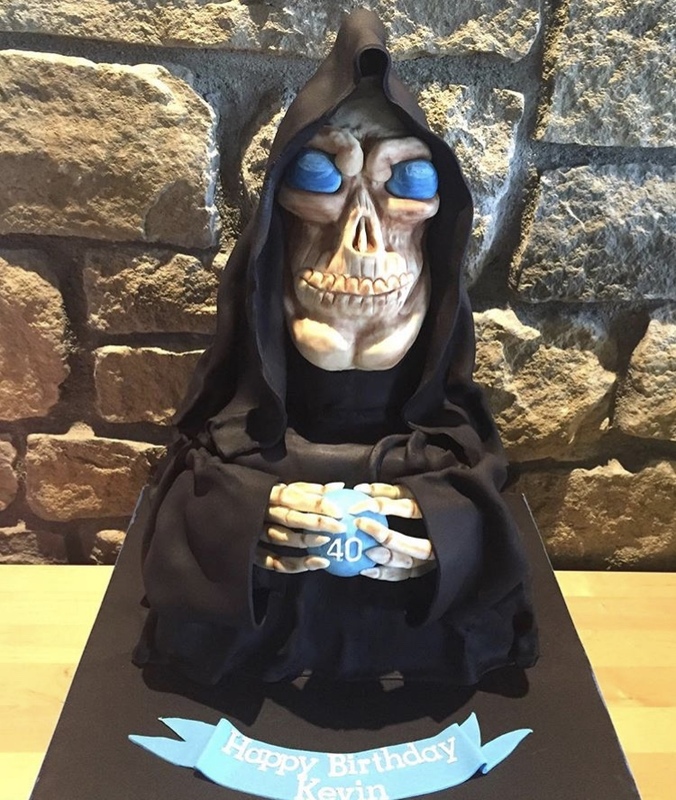 There’s a whole lot to love about this grim reaper cake. While he’s totally edible and handcrafted, it’s his story that makes him twice as fierce. This guy was actually done up for a surprise birthday party for a Terry Pratchett fan who just so happens to have a matching tattoo. It just goes to show that, when you find the right baker, anything is possible. You’ll see lots of jaw-dropping designs like this for all occasions on Wooden Heart Cakes’ page. 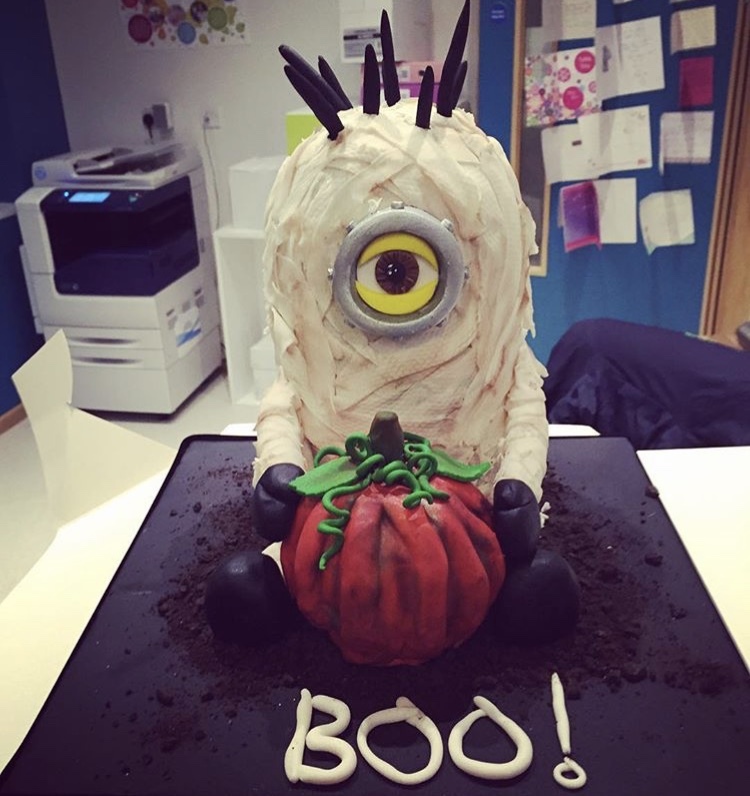 Minion Mummy was too cute not to include, and he’s another brilliant design by Wooden Heart Cakes. He genuinely looks like he plopped himself down in a pumpkin patch while out trick-or-treating. What’s more, this particular cake was part of a fundraiser that benefitted Temple Street Hospital, which makes it twice as sweet. There’s more to Halloween treats than just cake and cupcakes. We love what Baked by Christina did with this tart. It features rich chocolate ganache in fresh a shortcrust pastry shell. So delicious, the dead are even rising to grab a bite! 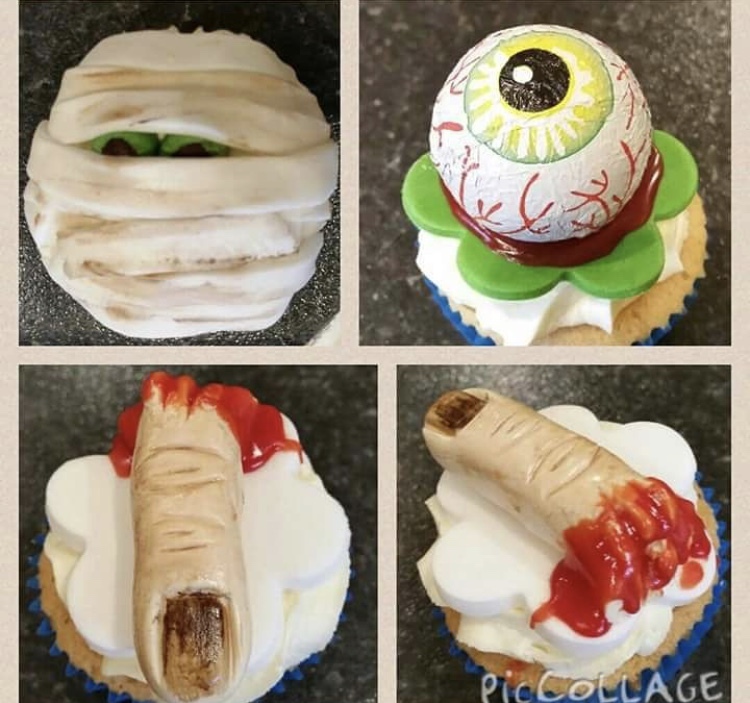 Artfully done up by Lougherne Cakes, these classic cupcakes are sure to ghosts and goblins of all ages. We especially love that the toppers are made by hand and incredibly detailed. There is not a photo on earth that could ever do justice to this beautiful creation by Jenny’s Cakes. 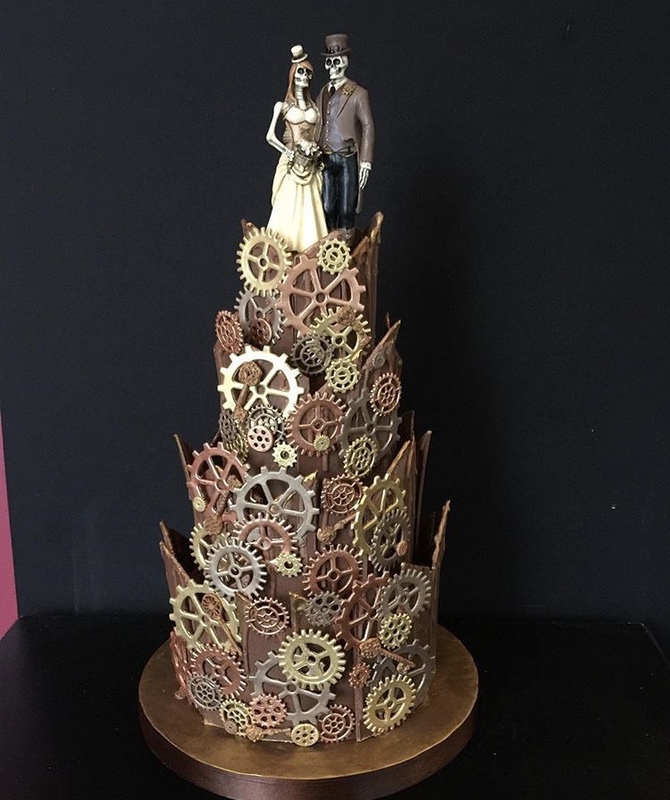 Although done up as a steampunk wedding cake, it’s ideal for Halloween or a quirky Dia de los Muertos party as well. Jenny says she loves working with chocolate, and it clearly shows! Gorgeous! Check out Artful Bakery’s take on this holiday classic. 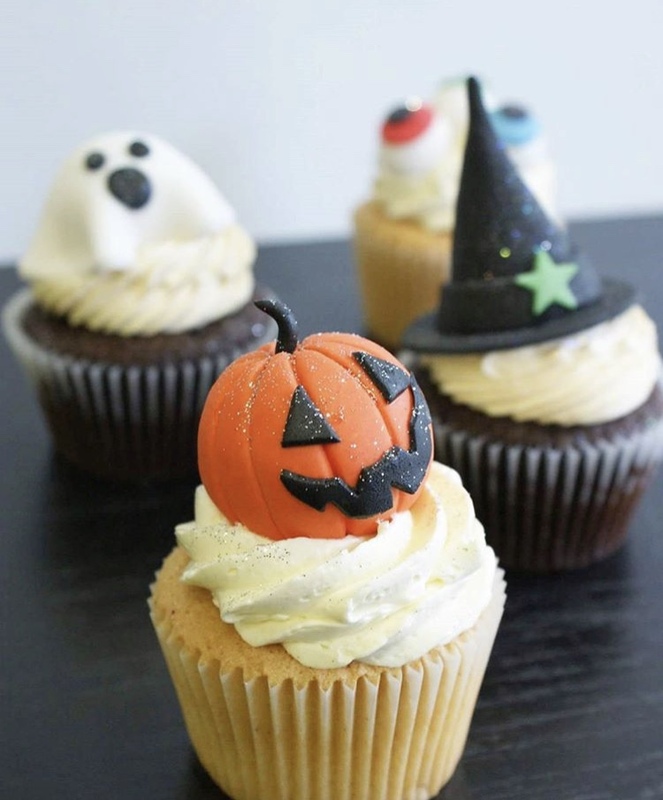 From spooky jack ‘o lanterns to yummy mummys, these cupcakes are sure to delight any witch or wizard. You’ll also see some festive Halloween cakepops in the background, perfectly poised and ready to share. 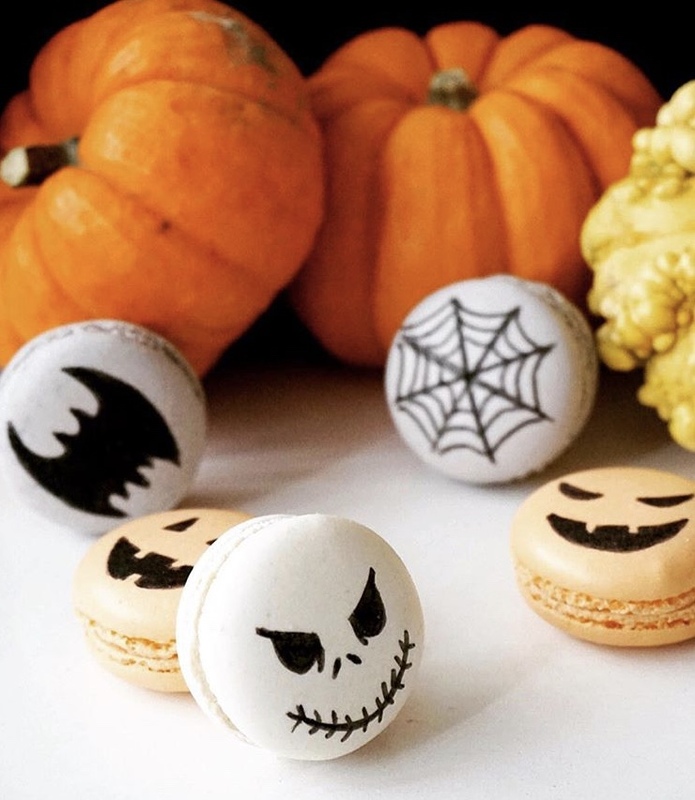 These macarons are not only delish, but they give a nod to some of our favourite spooks, like Jack Skellington and Spiderman, and feature classic Halloween designs too. Our very own Oceane’s French Cake usually only makes them for a couple weeks each year, but if you ask the French pastry chef nicely, you can probably get them whenever you wish. On the other hand, you might want to check out their page for other mouth-watering creations as well. 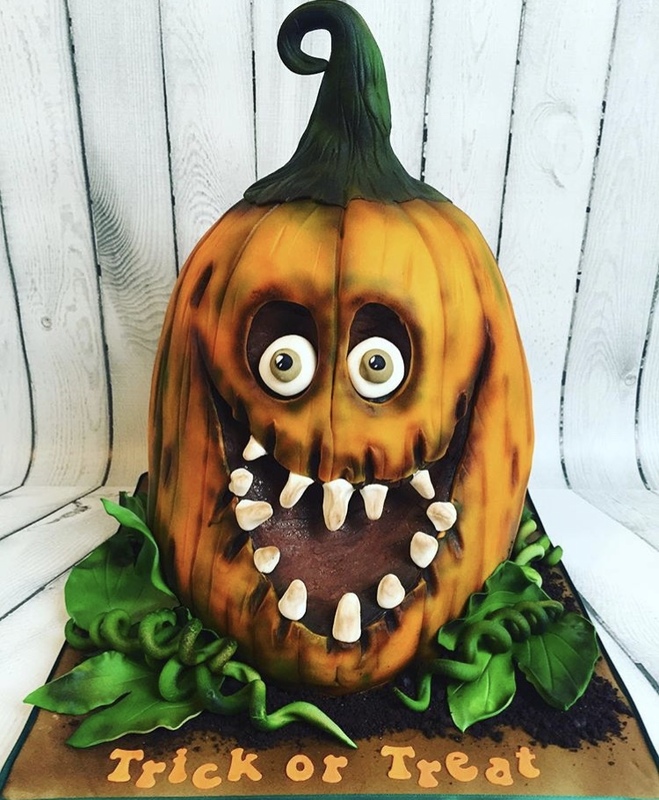 Bet you cracked a smile when you saw this toothy-grinned jack ‘o lantern cake. It’s another sweet creation by Wooden Heart Cakes, and every bit as delightful as the others. We love the detail placed in the shading, curly vines, and “dirt” that surrounds Jack. Like his “cousin” the Minion Mummy, our goofy friend here was also done up to help raise funds for Temple Street. 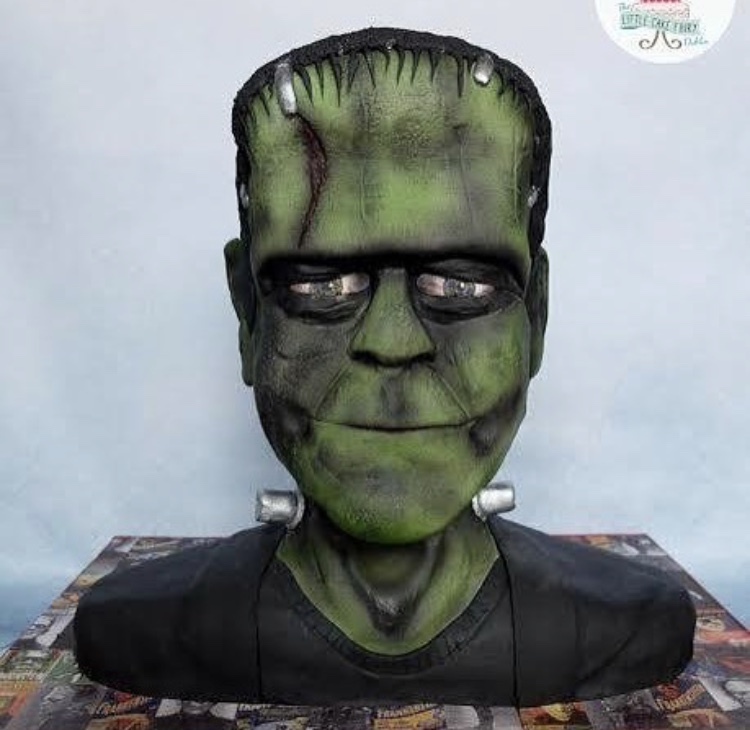 Just like Monster in the 1931 classic “Frankenstein,” this amazing piece of art is totally made by hand. Best of all, it is totally cake, and a whole lot less scary than the movie creature is. Well, maybe… we wouldn’t want to sleep in its presence, that’s for sure. Hat’s off to Little Cake Fairy Dublin for this epic display of craftsmanship. 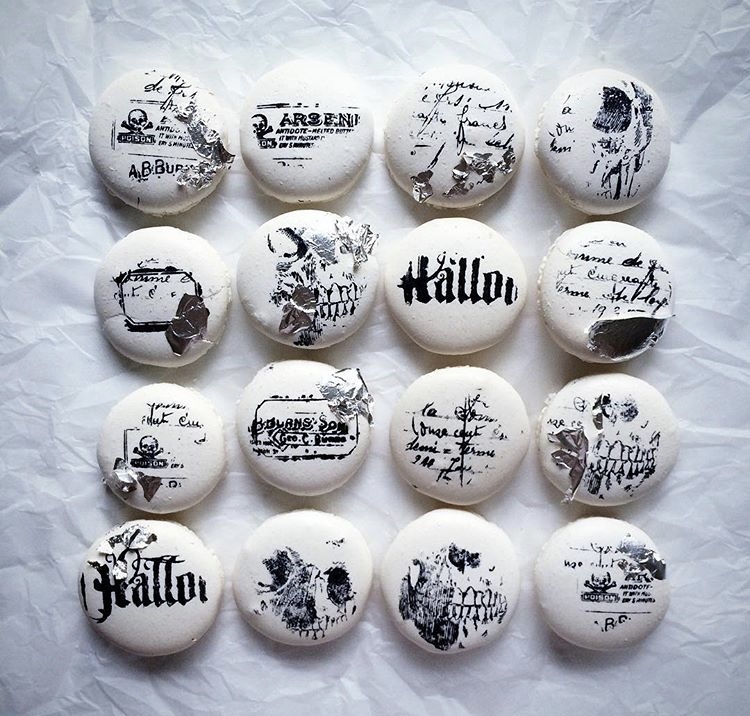 If your taste for the ghoulish and grim is a little highbrow, you’ll love what Artful Bakery did with these macarons. 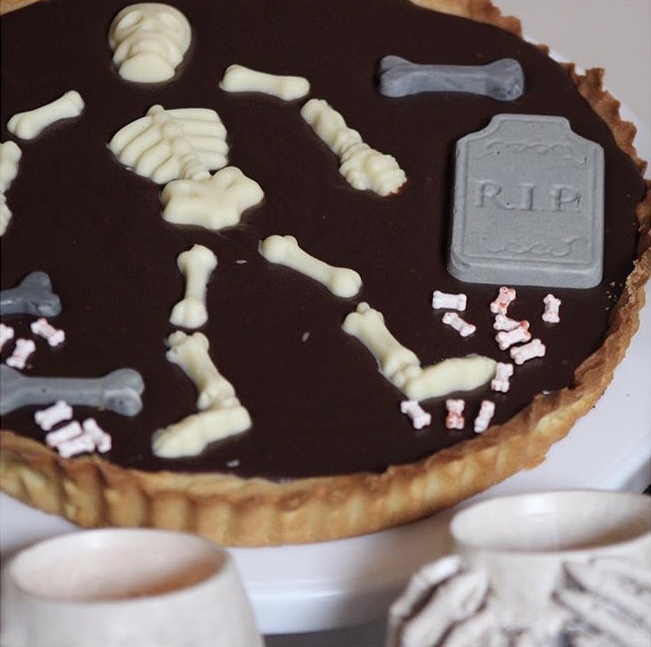 As if straight out of ancient medical textbooks, you’ll find somewhat ghastly skeletal images and delightful reprints of arsenic labels on these Halloween treats. 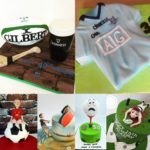 We’re incredibly proud of the artistry displayed by our bakers and, although not all of these fantastic designers have signed up to be featured on Bakers & Bakers just yet, we’re still glad to display quality work when we see it. If you like any of the Halloween treats here, be sure to click the link, and it’ll take you directly to their profile page , where you can browse all their other designs and place an order with just a few clicks. If they’re not already set up with us, the link will take you to their Instagram profile, so you can at least see a little bit about what they do. Bakers: If you aren’t signed up to be featured on our site yet, it’s super easy. Just head over to our sign-up page and you can set up your profile page and gain access to a whole bunch of tools and resources designed to help you grow your business!